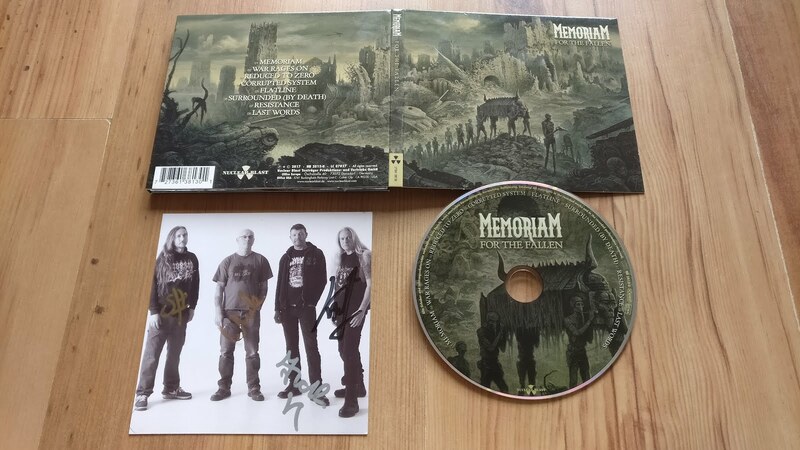 Memoriam have shot onto the scene very quickly since forming in 2016, and it's not surprising there is such interest in them considering the CVs of the band members. Featuring Karl Willetts and Andrew Whale of the much missed Bolt Thrower, as well as Frank Healy and Scott Fairfax of Benediction, this is exactly how you imagine it would sound from the people involved - trundling, death metal fury with themes of war, death and destruction. I managed to get an autographed art card with my version too (pictured bottom left). Nuclear Blast digipak.